One of Dublin's most opulent hotels, the Merrion stands in the heart of the city, right opposite the Government Buildings. It comprises four superbly renovated Grade I-listed Georgian houses and a contemporary garden wing overlooking the grounds. It is a magnificent example of immaculate housekeeping, exceptionally courteous service and old-school affluence. The Cellar Restaurant is appropriately situated in the vaulted, open-plan basement of the hotel, and offers stylish food without too much stuffiness or formality. 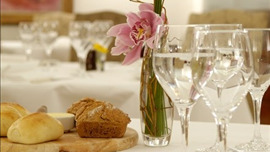 Expect accomplished dishes ranging from Merrion's much-loved fish and chips with minted mushy peas to more refined Mediterranean-influenced offerings like quail saltimbocca with white bean purée and balsamic treacle, whole baked sea bass with fennel, rosemary and roasted vine tomatoes, and desserts like orange soufflé with blood orange sorbet. Sunday brunch is a popular family affair, with plenty of distractions for the kids. 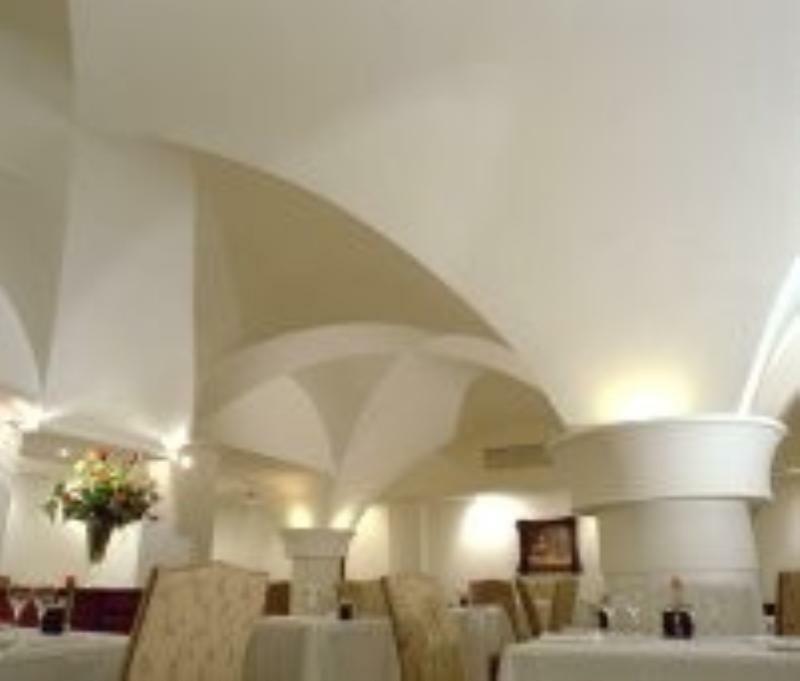 Note that Restaurant Patrick Guilbaud (2 Michelin stars) is also located within the hotel. (All of our desserts can be tailored for those on a gluten free diet).